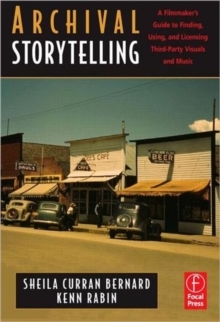 Archival Storytelling is an essential, pragmatic guide to one of the most challenging issues facing filmmakers today: the use of images and music that belong to someone else. Where do producers go for affordable stills and footage? How do filmmakers evaluate the historical value of archival materials? What do verite' producers need to know when documenting a world filled with rights-protected images and sounds? How do filmmakers protect their own creative efforts from infringement?Filled with advice and insight from filmmakers, archivists, film researchers, music supervisors, intellectual property experts, insurance executives and others, Archival Storytelling defines key terms-copyright, fair use, public domain, orphan works and more-and challenges filmmakers to become not only archival users but also archival and copyright activists, ensuring their ongoing ability as creators to draw on the cultural materials that surround them. Features conversations with industry leaders including Patricia Aufderheide, Hubert Best, Peter Jaszi, Jan Krawitz, Lawrence Lessig, Stanley Nelson, Rick Prelinger, Geoffrey C.
Ward and many others. 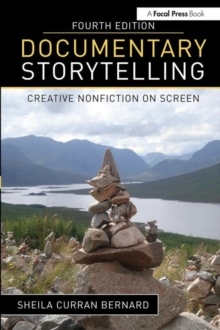 Additional praise for Archival Storytelling:"I've been making historical documentaries for many years, yet I learned new things from this book. This is the definitive guide for archival research for documentary filmmakers. An invaluable resource." -Mark Jonathan Harris, Distinguished Professor, School of Cinematic Arts, University of Southern California, and writer/director, The Long Way Home and Into the Arms of Strangers"One of the best-and most needed-[books] I have seen in a while..The challenge is to keep what is a fairly technical aspect of filmmaking interesting without compromising the quality and depth of information. 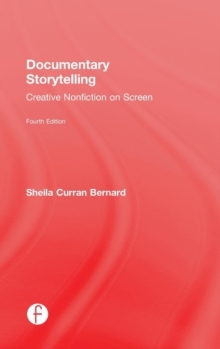 The authors have done an exceptional job in this regard by the careful interweaving of interviews with researchers, filmmakers and legal experts through the factual material.There is the strong sense of being in the presence of experienced filmmakers and researchers who accept that while there are standard practices, archival use and intellectual property laws etc. are contingent fields in which each case must be assessed and dealt with on its merits." -Bruce Sheridan, Chair, Film & Video Department, Columbia College"It's hard to imagine a more organized, comprehensive dissection of Byzantine material. The authors have produced a tremendous guide for all who use archival resources. Best of all, because of their effort, I believe more individuals will be able to access and properly utilize such material. 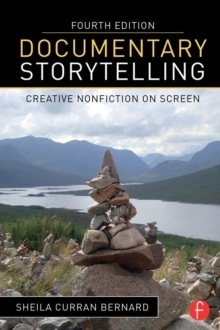 This book will serve filmmakers and, in turn, the public for years to come." -Thomas Speicher, Producer, Pennsylvania College of Technology"Not simply a 'how-to' manual, it is also a discussion of ideas, issues and history that creates an enjoyable text even when the subject matter becomes complicated.The real world examples, the roundtable discussions, and the exploration of ideas and issues surrounding the technical aspects are very welcome and well done." -Dustin Ogdin, Filmmaker, Spoke Digital Films"The book properly advances the notion that 'films matter,' but this is countered by discussants with 'films cost money too.' Filmmakers may take decades to recoup, and licensing helps. It's an ongoing volley, the chapter engenders a road map through the split, the tension makes a good read...This authorative book belongs on every producer's shelf." -Loren S.